We have been around since before the online dating revolution, offering traditional personal introductions and a personal matchmaking service to be proud of, all built around safety, security and confidentiality. We attract large numbers of educated and attractive people of professional calibre, located across the UK. Our affordable personal introductions packages are a premium level of service that we developed over many years. A human at the heart of the process, seeking that special someone for you. That means no more automatic matches. If you are outside of London, we are an introductions agency UK wide too, one of very few that truly covers the whole of mainland Great Britain. So wherever you are in the country we are happy to provide a quality service to you, even for those who live in remote or more outlying areas. Although we do recommend flexibility on how far clients are prepared to travel, as we’d hate to see you miss out on that perfect match if that person lived a further half hours drive away. If you would like to know more about the team at Searchmate, our ethos, how we work and why our service is so comprehensively different to that provided by online dating companies? Then please complete our contact form on this page or ring us from 9am until 9pm everyday on 0800 644 4160 and we’ll get you talking to someone straight away. Our membership options offer 3 distinctly different levels of membership that seem to cover most sets of circumstances and budgets, the choice is yours, but whatever level of membership you join us on, you will be meeting people usually from a professional background, all of whom have been personally interviewed in their own home, but at our entry level membership by phone or by Skype to keep our costs keen and to ensure we are offering a really excellent service but one that is also affordable for most people too. Most people that speak to us about joining have tried online dating and know it’s not for them, so if you worry about meeting strangers and having your confidential details on a highly public dating site or you’ve read about the huge amount of crime now associated with online dating, then we are waiting to provide a quality alternative, whenever the time is right for you. If you’re unaware of the problems, online dating related crime has been a huge problem in recent years in the UK and abroad. Pick up a newspaper or utilise an internet search engine and the statistics are worrying, more than 1 million fake profiles in the UK alone, internet dating fraud running at £41 million or £100 million if Facebook is included, more than 400 murders that are online dating related worldwide and other online dating related crime growing expediently. We believe that the Searchmate way of dating is safer, more confidential, attracts stable, solvent people and therefore results in better quality matches. All Searchmate clients are very carefully vetted to make sure they are 100% genuine, we personally interview every client, verify their ID and use one of the most comprehensive authentication systems globally, to check people out carefully, to ensure we have one of the cleanest databases in dating and that all of your matches are elite introductions of real quality. The Searchmate service is very personal and highly confidential. Throughout the year of your membership you will work closely with a carefully chosen member of our matchmaking team, who will get to know you as thoroughly as possible and even more importantly the type of partner that you are really hoping to meet. Only you and our matchmaking team would ever get access to your profile and photographs, it will remain highly confidential and very private and only ever be seen by carefully vetted clients who we will have identified as a potential high quality match for you. As an option on some membership levels the level of privacy is higher still and nobody would ever get to see your profile without you accepting them as a potential match first. 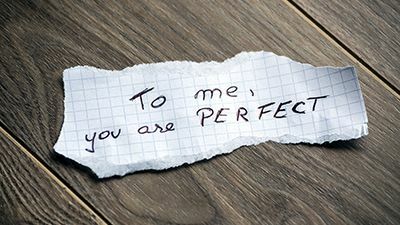 At various points in our lives invariably we all need to find love and a perfect partner if we can, but we also know that is not always easy or straight forward. Meeting the right person can in fact be terribly hard if you set yourself exacting standards and don’t want to compromise on them. After all, this is probably the most important decision that you will ever have to make. However, through Searchmate, help is at hand. Finding that perfect partner the Searchmate way means that you will always have a friendly face to talk things through with and an expert to guide you through the jungle that dating can sometimes become. Over the last decade or so meeting new partners online has been very popular. Recently however the online dating industry has been attracting the wrong type of publicity on TV and in the press. Many people now realise that it is not for them and have been looking for a safer and more credible alternative and that is exactly what Searchmate offers – high quality personal introductions tailored for you, through our highly trained and experienced team of Personal Matchmakers. Searchmate has always had a strong client base in London – which is known as the UK’s capital of personal matchmaking and our client base of carefully selected, professional people have access to some of the UK’s most attractive and eligible singles, particularly if you have chosen one of our elite introductions packages which include a professional headhunting service as well as matchmaking within our own client base. So if an introductions agency London based is what you have been searching for, then we’d be confident that our service could be perfect for you and would also offer value that is significantly ahead of our competitors. We cover the whole of Greater London and the Home Counties, so wherever you live we have a strong data base with which to match you and also we are happy to come to visit you, in the place our clients usually feel most comfortable – their own home. We are delighted to position that our parent company at Dating Options Ltd, have been chosen to be the Best Practice Representative of the Dating Industry in the 2019 Parliamentary Review and look upon this as a major honour and testimonial for all we do.